Dr. Basil Janavaras is Professor Emeritus of International Business Strategy and Global Marketing Strategy at Minnesota State University (MSU), Mankato, MN, USA and President/CEO of JAI, Inc., a global marketing management training and consulting firm. In addition, he owned, along with his wife Linda, a chain of retail gift stores, 1978-2009. In 2010, Basil and Linda started a trading company, Janavaras Enterprises LLC (www.JanavarasEnterprises.com), importing premium wine from Greece and distributing in selected states in the USA. Dr. Janavaras has taught and lectured in several countries including Austria, Canada, Croatia, Czech Republic, England, Germany, Greece, Hungary, Poland, Taiwan, and the former Soviet Union. In addition to being a professor at Minnesota State University, Mankato, he has served as Chairperson and Director of the International Business Institute, MSU. He also served as Director of International Business Studies, the Master of International Management (MIM) Program, University of St. Thomas (UST), St. Paul, MN, and he was an adjunct faculty member at Saint Mary’s University of Minnesota’s Executive MBA Program. Dr. Janavaras spent more than 30 years assisting companies and academic institutions expand into global markets and establish their presence and success abroad. He helped company managers develop a global orientation toward international business, and integrate global dimensions into their strategic plans. The goal always was to act locally and deliver globally sustainable and measurable results. For 12 years, 1992 – 2002, he developed and delivered international business and trade certificate programs for executives and business practitioners at the World Trade Center, St. Paul, MN. Honey Well, ADC Telecommunications, Inc., Cargill, Carlson Learning Company, Chemstar, Coopers & Lybrand, L.L.P., Cortex, Cray Research, Cross Point Paper, DataCard Corp., Eaton, Ecolab, Fargo Electronics, Graco, Inc., Honeywell, Inc., H.B. Fuller Company, Hutchinson Tech, Land O'Lakes, Lifecore Biomedical, Lion PRecision, Lockheed Martin, Lynden Int'l, Malco Products, Inc., Management Graphics, Mayo Medical Laboratories, Medtronic, Inc., Minnesota Trade Office, National Bank of Greece, Norwest Bank, Optical Sensors, The Pillsbury Company, Paine Northrup King Company, Possis Medical, Scimed Life System, St. Jude Medical, Telex Communications, Tennant Company, TLSystems Corp, Toro, and Unisys-EISG. He has published a number of articles in several business journals. He has authored the Global Marketing Management System textbook (previously published by Pearson Education, Inc., 1998), co-authored the International Marketing Strategy textbook by Rosili, 2010 (in Greek) and co-authored Going Global: A Practical Guide (2013) by Harlow, Essex: Pearson Education Limited. 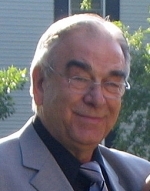 He has developed the Global Marketing Management System Online (www.gmmso4.com) software, and the Export Import Management System Online (www.eimso2.com) software. These software packages enable users to conduct global market research, identify high potential country markets, determine best entry mode strategies, and develop their international marketing/exporting plan. M.Sc. in Marketing and Communications with Specialization in International Marketing, Athens University of Economics and Business, Greece. B.Sc. in Business Administration with Marketing Concentration, University of Piraeus, Greece. Certificate of Computer Knowledge’’, University of Piraeus, Greece: E-Commerce Planning, E-Commerce Programming and Design, Legal issues of E-Commerce. JAI Project Manager: GMMSO4, GMMSO3, EIMSO2 & GMPSO2. Very good knowledge of Windows, Linux, Internet, Word, Excel, Power Point, PC Hardware, Mobile Technology, Social Media, SPSS. Research Associate on EIMSO project about ‘’Tetramythos’’ Winery for the eBook ‘’Strategies for International and Export Marketing’’. Lymperopoulos K., Janavaras B., Salamoura M.